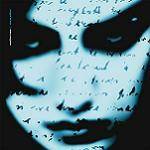 More information: In February 1994, Marillion surprised many with the release of their dark and sprawling concept album, Brave. This ambitious double album charted at No.10 in the UK, making it the band’s seventh consecutive Top Ten album, a streak that began in 1983 with the group’s debut, Script for a Jester’s Tear. Taken from the critically acclaimed Brave Deluxe Edition released in March 2018, this will be the first time the new Steven Wilson Remix of the album has been available as a standalone release.